I have watched many families throughout my career as an Orton-Gillingham tutor, lose valuable time and money when choosing the wrong person or the wrong program to tutor their dyslexic child. I know that these parents had great intentions but simply did not take the time or do the research necessary to become informed. Several essentials make up a successful plan for your child to get the most out of his or her dyslexia tutor. The Orton-Gillingham approach is the “grandmother” dyslexia tutoring program from which many others are derived. It was developed in the 1930s and 1940s by neurologist Samuel Orton and linguists June Orton and Anna Gillingham. Together they developed this amazing way of teaching the structure of letter-sound correspondences, using a multi-sensory method. A dyslexia tutor that is trained in Orton-Gillingham will be able to tutor your child in reading, writing, spelling and comprehension strategies correctly. If you are unable to find a dyslexia tutor trained in Orton-Gillingham, you can always hire a tutor that you like and hand them an Orton-Gillingham tutoring program that they can use with your child. The PRIDE Reading Program is a multisensory, Orton-Gillingham curriculum for tutoring reading, writing, spelling and comprehension. It is taught in a step-by-step progression using an easy to follow On-Line Teaching Guide that is heavily scripted out. Because it is so easy to follow the script and it also comes with online demonstrations on how to teach each step, tutors with little or no experience with Orton-Gillingham can implement it quite easily. The Barton Reading Program is a teaching method based on the Orton-Gillingham approach. It comes with videos that explain how to teach each lesson. It is easy to learn this system and easy to teach it. The All About Learning has an All About Reading Program and an All About Spelling Program. These programs offer intense reading and spelling lessons utilizing the Orton-Gillingham methodology. They are both highly interactive multi-sensory programs that are scripted and illustrated and easy to follow. Lindamood Bell is a learning approach that can help students who struggle with reading and other learning issues. It offers 1:1 instruction at private learning centers throughout the world. 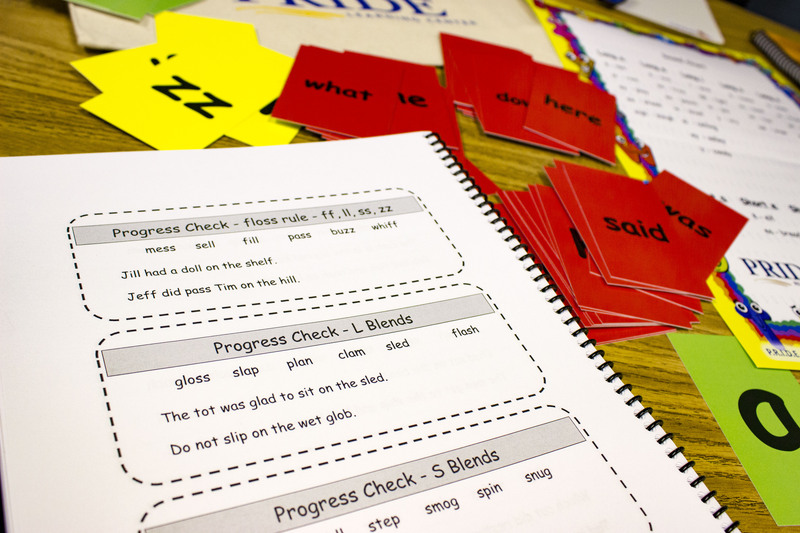 PRIDE Learning Center employs the Orton-Gillingham, multisensory approach to reading, writing, spelling and comprehension. PRIDE will send a trained dyslexia tutor to your home, work, school or library. They also run many Orton-Gillingham summer camp programs throughout the United States. Their dyslexia tutors are background checked, have strong backgrounds in special education and are warm, nurturing instructors trained to implement the PRIDE Reading Program. Your child with dyslexia will face many challenges in school at various times. By being a loving and pro-active parent and getting your child into the right program with the right kind of a dyslexia tutor will really benefit your child’s self-esteem, love of learning and academic success. Karina Richland, M.A., developed the PRIDE Reading Program, an Orton-Gillingham program for struggling readers, based on her extensive experience working with children with learning differences over the past 30 years. She has been a teacher, educational consultant and the Executive Director of PRIDE Learning Centers in Southern California. Please feel free to email her with any questions at info@pridelearningcenter.com.